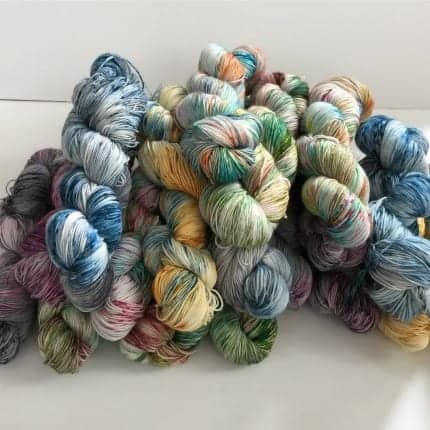 Sue and Chelsea came together to create a line of hand-dyed yarns inspired by popular television shows, movies and more. They started this adventure with their YouTube podcast LegacyKnitz and quickly decided they wanted to be more involved in the loving commuKNITy they found themselves in. It is the mission of Legacy Fiber Artz to spread love through commuKNITy and creativity.